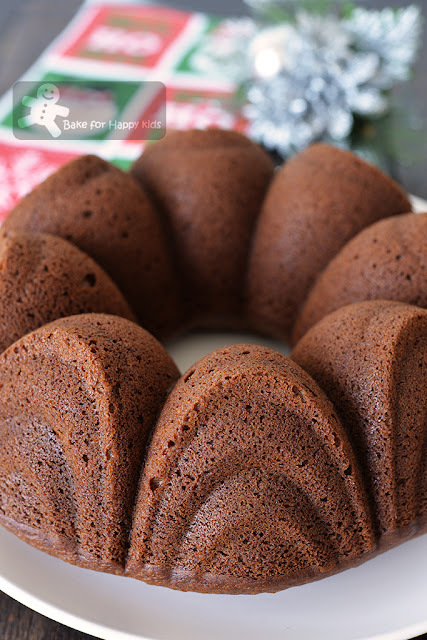 Bake for Happy Kids: Ginger Applesauce Bundt Cake (Ruth Reichl) - This is the Best Ginger Cake Ever!!! 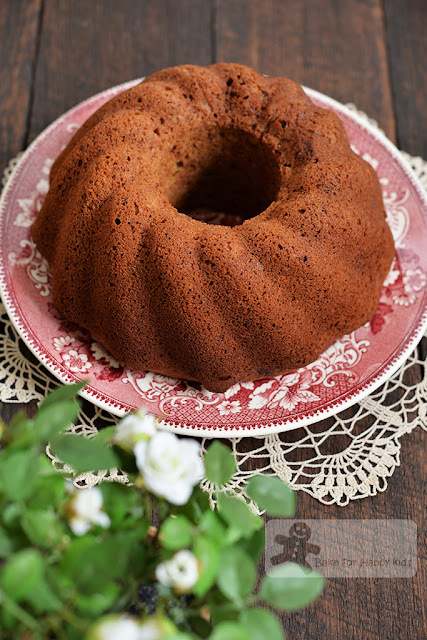 Ginger Applesauce Bundt Cake (Ruth Reichl) - This is the Best Ginger Cake Ever!!! I have no doubt at all that THIS recipe will make a good ginger cake and I'm totally right! It is so moist and warming that I have to say that it is the best ginger cake ever!!! My husband, son and I are NEVER a fan of ginger cake but I always have to bake ginger cake for my ginger-cake-loving aunties. For my trips to Singapore, I have to pack boxes of freshly baked ginger cakes into my luggage and bring them along with me back to Singapore. I wonder... why are my aunties love eating ginger cakes so much? I asked myself... because ginger cakes are for old ladies? LOL! I laughed whenever I had this funny thought. First, I used cooking oil spray to grease a 12 cup capacity Bundt cake tin and lightly floured the greased surfaces. "Mum, why are we buying these baby food? My son asked when he saw me loading our shopping trolley with 4 jars of apple purée for babies. "They are for auntie J and K." I replied. "OMG!!!" Then we had this never ending series of hysterical laughter!!! Then, I whisked in oil and vanilla paste into the batter until smooth. ... and stir gently until everything is JUST combined. It is important not to overmix the batter. The smell of this cake baking in my oven is so warm and beautiful. I was like "Wow" when I removed the cake from the baking tin. The deeply coloured crusted cake looks so rich in its flavours and texture. The original recipe suggests serving each serve of this cake with a spoonful of caramel glaze but I just like it simply on its own. Are you a ginger cake lover? Yes? Then I have to scream to you... You MUST BAKE THIS RECIPE!!! No? When I had my first bite of this cake, I had to double check with myself... Am I a ginger cake lover? Have I converted myself into a ginger cake lover? 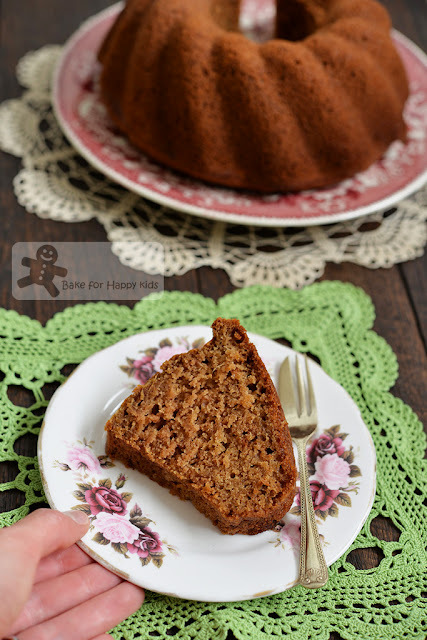 Or is the olde me growing to love the warmth, comfort and hugs from this moist and yummy ginger cake? Confused??? Not really because I'm 100% sure that this ginger cake is truly lovely! So why not try baking this recipe? Who knows? You might convert yourself into a ginger cake lover... LOL! YES! 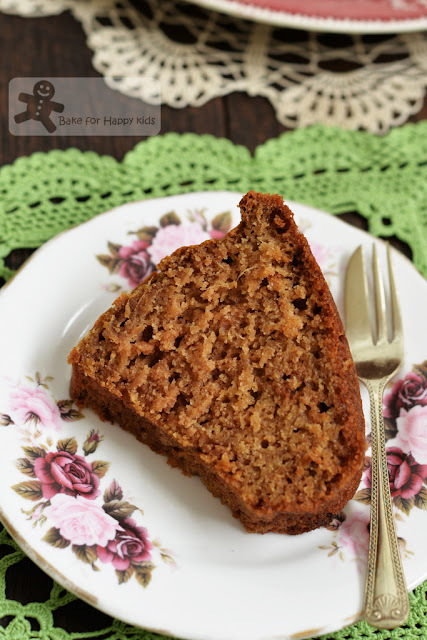 This ginger cake is SO GOOD that I have to bake this again!!! ... specially for my ginger-cake-loving aunties. So good that even my non-ginger-cake-loving son was picking the crumbs of the cake because I refused to give him a slice! LOL! Isn't it good to know that this delicious cake is freezer friendly? Hope that you will like this easy recipe and enjoy baking this cake for your family and Christmas too. This recipe is so good that I have to bake this ginger cake again. As always, this deeply coloured crusted cake is so moist with flavours and texture. Here's a video showing how I baked this ginger cake if you are interested. You will see that it's so easy to bake! Here's the recipe that is mostly adapted from the book, My Kitchen Year by Ruth Reichl, here, here and here. 1/2 tbsp (or more if desired) ginger, peeled and freshly grated - Yes that I had to add MORE (like the entire large ginger) for my aunties!!! * Due to time limitation, I can't make my own apple sauce to bake this cake and reckon that the use of this sugar free and preservative free baby food kind of "applesauce" is equally awesome! Preheat the oven to 180°C / 350°F. Grease and flour a 12-cup Bundt tin. 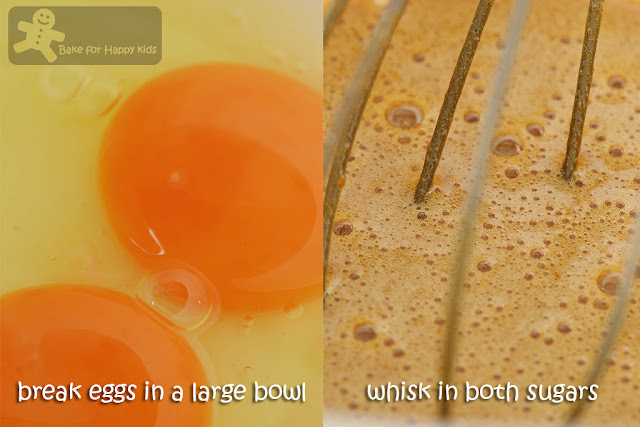 Break eggs into a large bowl. Whisk in both sugars until combined. Add ginger and applesauce. Whisk in oil and vanilla and mix until smooth. 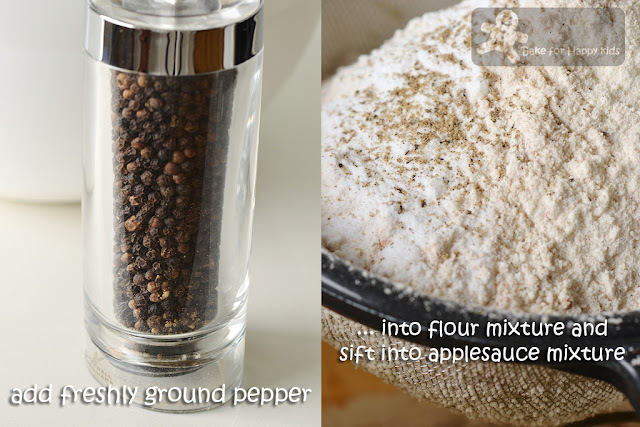 Combine flour, baking soda, salt, a few grinds of pepper and cinnamon in a medium bowl. 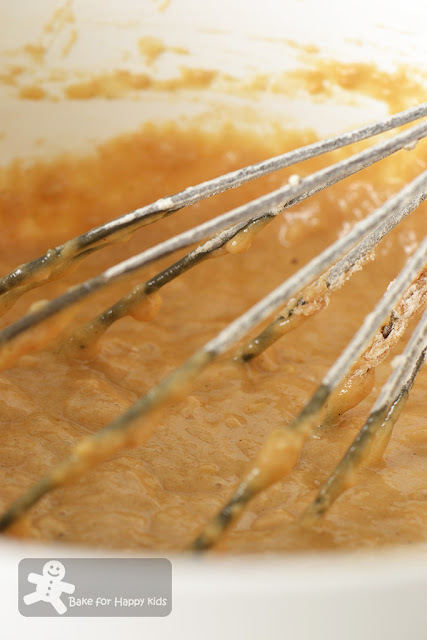 Sift the flour mixture into the applesauce mixture and stir gently until just combined. Pour batter into prepared Bundt pan and bake for about 45 mins or until cake bounces back when you press your finger into it. Cover cake loosely with foil at the last 10-15 mins of bake if the top of the cake turns brown too quickly before the inside of the cake is baked. Cool cake slightly for 15 mins before removing it from the tin and allowing it to cool completely on a wire rack. Cut and serve. You can eat it on its own or pour or drizzle a spoonful of caramel glaze on every slice of the cake you served. Pour cream in a heavy-bottomed pot. Whisk in brown sugar, corn syrup and of salt and bring mixture to a boil. Turn heat down to medium and continue to boil for about 15 min, whisking in every few mins. When glaze become thick and smooth, remove it from heat and stir in vanilla. 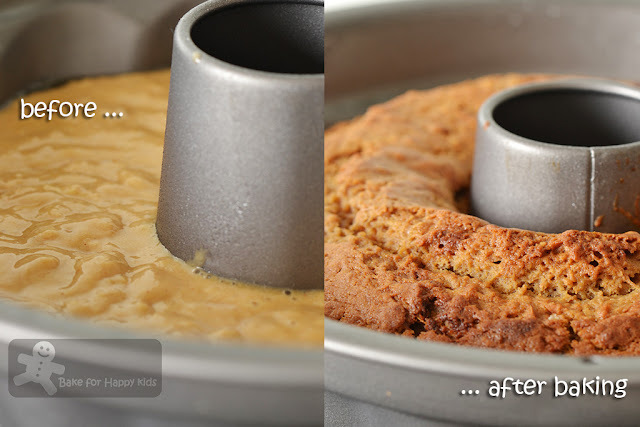 Use glaze to drizzle the cake while it is warm or cooled to room temperature. Both are equally nice. I'm baking this Bundt cake for our LAST bake-along with Lena from Frozen wings and Joyce from Kitchen Flavours. We have baking for the past 5 years and we are now baking the theme, Bundt cake for our 5th Bake-along anniversary and that's it! Thank you for support our blogging events for the past years and we hope that you had enjoyed baking with us. We won't be using the linky thumbnails for this bake-along. If you wish to bake-along with us, you can publish your post as usual and leave a comment in our blog post. Lol, I am not a big fan of Ginger Cake. I'm not sure why but I just can't seem to warm up to the flavor of ginger in a cake which is odd considering ginger has such a warm appeal. Thank you so much for sharing Zoe...I got such a kick out of your son's curiosity with the baby food. Next time you bake carrot cake, you might want to try it with strained carrot baby food, your son will get a kick out of that!!! Hi Zoe, sad to hear that bake along is ending, thanks for all the efforts to organise such event and we enjoy and benefits from this bake along. 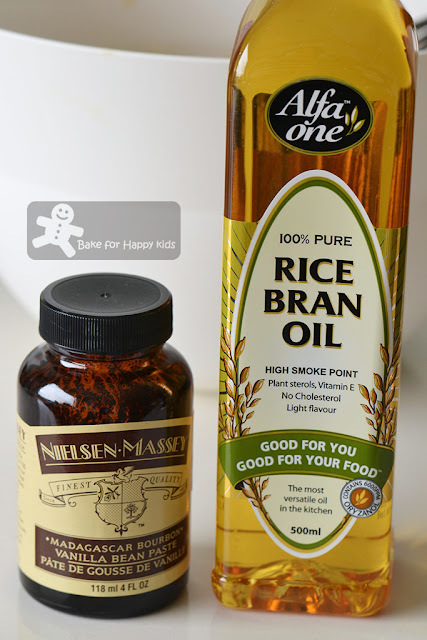 I am joining this final post of baking along too, just posted it up. All the best! Hi Zoe, I'm going to bake this because I'm ginger cake lover just like your aunt. Ginger bundt cake is perfect for your autumn; actually I think it's perfect for all seasons. 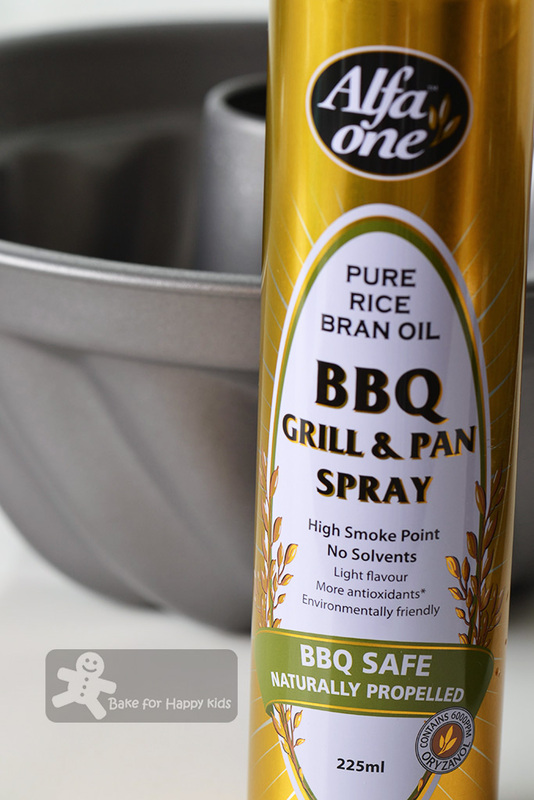 Hi Zoe..would love to try your recipe one day. Sad to hear the Bake Along is ending today. I have posted my Bundt post too to support you. All the best. This sounds like an amazing combo! I have some applesauce in my fridge that needs using. This needs to happen! Sad to hear Bake Along is coming to an end.... had fun reading all your entries these last few years. This cake looks good, made something similar for Christmas some time ago. It's hard to say goodbye. .. I've learned alot with you all through bake-along events. Thanks for organising these events. 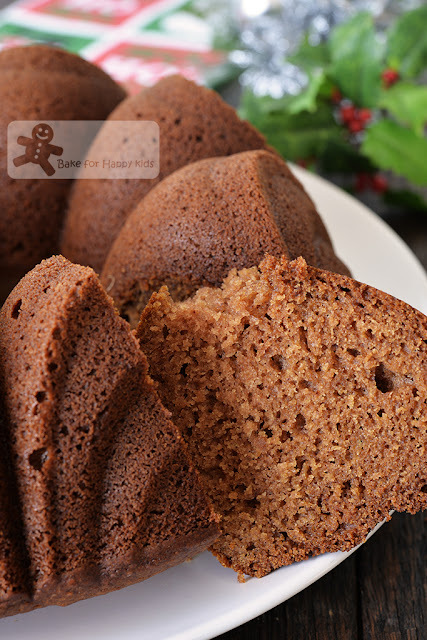 I've yet to bake ginger cake but this bundt cake of yours looks definitely moist and delicious to enjoy with a cup of hot tea! Ginger cake, I know it is the best one by just looking at it. Happy Mother's day to you, Zoe. I like ginger cake and your cake looks delicious! Your aunties must be very happy receiving this cake from you. Baby food for aunties! Your son is so cute with his response! Thank you for the past 5 years of baking with both Lena and myself at Bake-Along. It has been wonderful, baking with both of you! hello zoe, thanks for being such a wonderful baking buddy and yes, we will keep in touch i dont think i will disappear from the blogosphere , yes, will keep in touch. Hugs. Hi Zoe, I have baked a chocolate marble bundt cake to mark the last Bake Along. Thank you for your hearts and effort in organising this wonderful event. Looks like a yummy cake...can hardly wait to try this recipe! Thanks Zoe!